The quintessential element for all radiated EMC testing. Most antennas now have hgih power transmit and receive capabilites with very broadband frequency ranges. Allowing for many users to accomplish testing without having to interrrupt testing to convert to a higher or lower frequency antenna or setting up an intricate switching system. 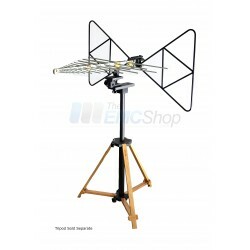 The EMC Shop stocks EMC antennas for rental, purchasing and immediate delivery. EMC Antennas There are 96 products. 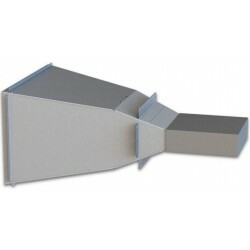 Order EMC Antenna Sets & Kits. The EMC Shop is the only online store for electromagnetic compliance test equipment and accessories. 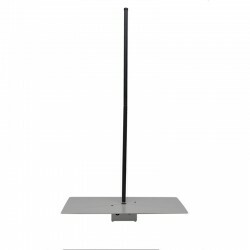 The most effective antenna for high power and gain applications, horn antennas have broadband coverage in a compact frame. 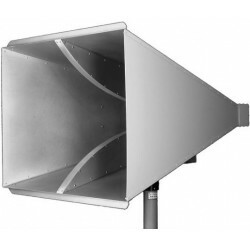 Double ridge horn antennas will allow for full band coverage of the Mil-STD-461 standard. 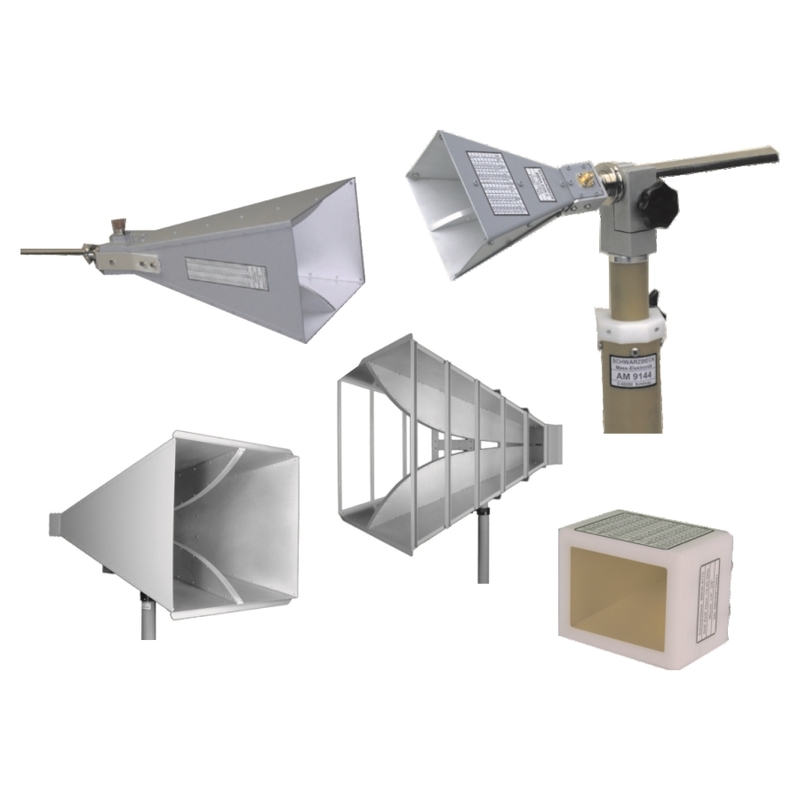 Standard gain horn antennas will provide high gain and power output, allowing engineers to use smaller power amplifiers to accomplish testing. 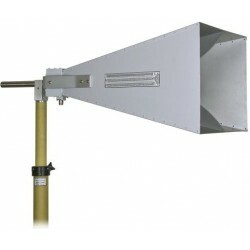 The EMC Shop stocks horn antennas for rental or purchase. If you are starting a new setup, we can help build an anechoic chamber and provide test equipment and automation software. Combining biconical antennas and log periodic antennas. BiConiLog antennas are a favorite in the EMC industry allowing for a broadband, high power, directional test. Directional log periodic antennas are used for both injection RF and monitoring RF emissions during device evaluation and certification. Typical biconical antennas ("Bicon") are used for lower freuqency electromagentic interference (EMI) and emissions testing. 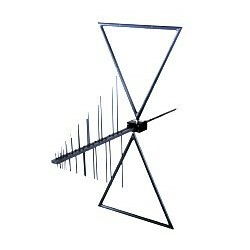 Standard models of bicon antennas cover the frequency range 30 MHz to 300 MHz with custom models going lower into the 150 KHz range and other models covering up to 40 GHz. Rent EMC biconical antennas or entire radiated emissions and immunity test systems at The EMC Shop. 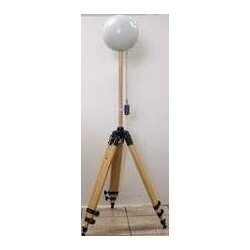 Active or passive EMC monopole antennas are the most method used for low frequency EMC emissions and immunity tests for Military, FCC and other international standards testing. 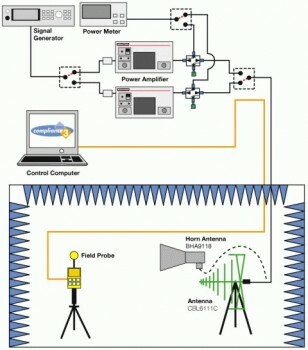 Low frequency loop antennas for EMC testing (1 kHz to 30 MHz typically) come in conbinations of active, passive and shielded models with and without built-in preamplifiers. Conduct emissions and immunity testing typical for military standards and more. 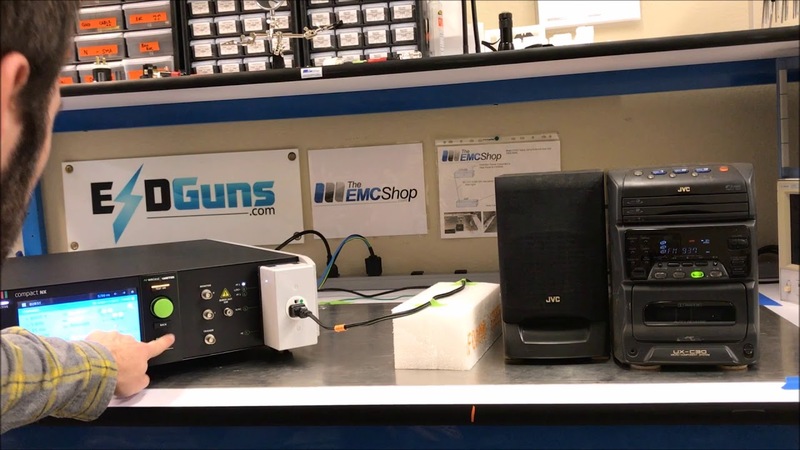 As an EMC testing lab, the accuracy of your results is key to your reputation. Maintaining this accuracy requires properly calibrated quality equipment. Comb generators are an important piece of EMC radiated emissions testing equipment - one that can save you time and money by reducing your reliance on full, annual recalibrations of your site and instrumentation. 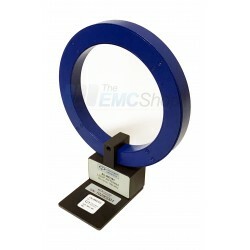 The EMC Shop stocks a variety of EMC Magnetic Field Coils for pre-compliance & certification testing. Magnetic coils are designed to conduct magnetic field immunity test of electrical and electronic products with high reliability as per IEC61000-4-8, IEC61000-4-9, IEC61000-4-10 and more. 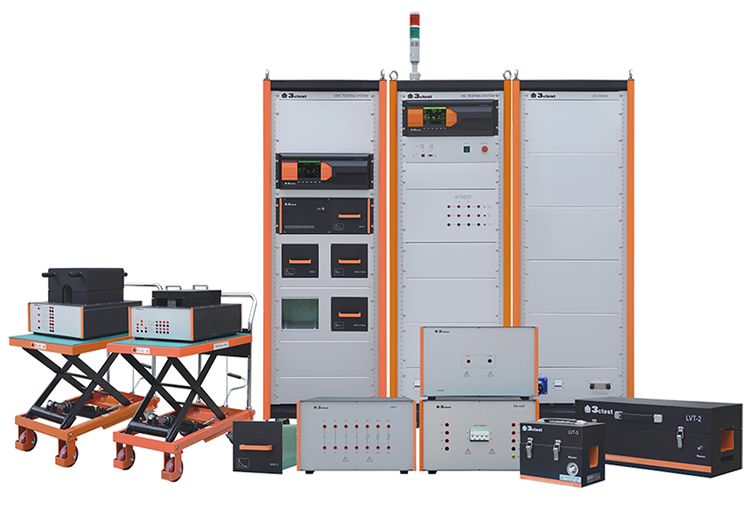 Power frequency magnetic field test is mainly to simulate the magnetic environment in residence, commercial and industrial district, power station, and low and high substation.